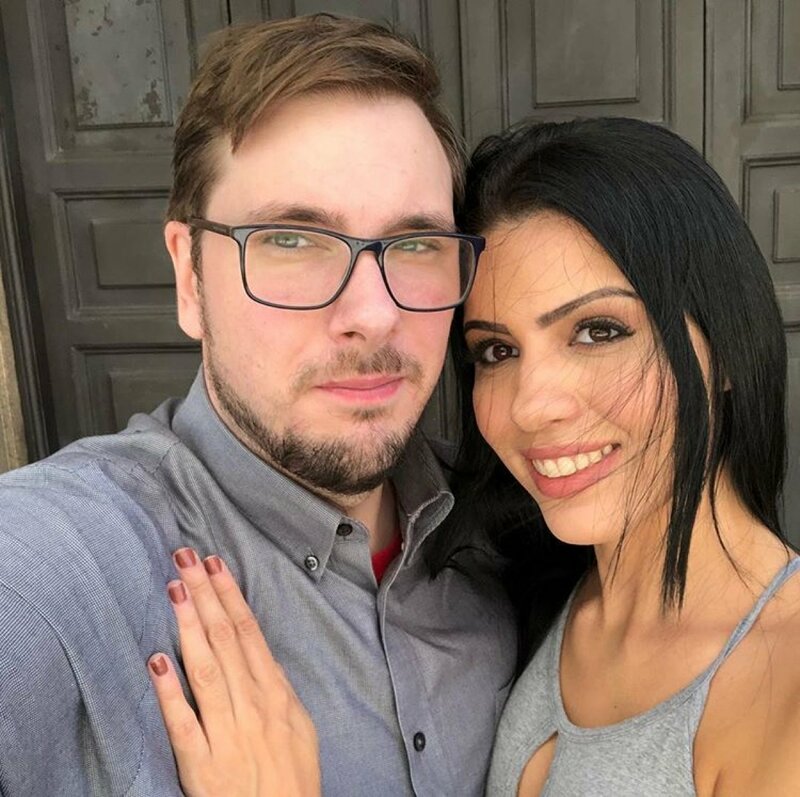 '90 Day Fiance' Spoilers: Are Colt Johnson and Larissa Christina Dos Santos Lima still together? Are they married? 90 Day Fiance is only a few weeks into airing its sixth season on TLC, however, big spoilers have come out about the fate of one of the season's couples, Colt Johnson and Larissa Christina Dos Santos Lima. [90 Day Fiance Spoiler Warning: Please stop reading now if you don't wish to find out what happened between Colt Johnson and Larissa Christina before the Season 6 footage airs on 90 Day Fiance]. Colt, a 33-year-old software engineer from Las Vegas, NV, is engaged to Larissa, a 31-year-old from Brazil, who he met during a trip to Cancun, Mexico. It only took five days for Colt to realize he wanted to spend the rest of his life with Larissa, and so he proposed marriage to her, and the latest episode of 90 Day Fiance featured Larissa moving and getting settled into the home Colt shares with his mother, Debbie, and their cats. Well, Larissa has confirmed on social media she and Colt are definitely still together. In fact, they are married! "People are asking about me and Colt, sending message to him (I read everything) we are together and strong," Larissa wrote on Instagram earlier this week. "We just choose don't expose it." Larissa also later shared a couple of photos of herself and Colt together, smiling and looking cozy while playing the slot machines at a casino. The couple's marriage certificate has also surfaced on the Internet. Colt and Larissa filed for their marriage license in Clark County, Nevada on June 11, 2018, Starcasm reported. And then Colt and Larissa got married on June 24, according to Clark County Clerk records obtained by Reality TV World. Larissa posted additional photos of the couple on Instagram in early October, before the premiere of 90 Day Fiance's sixth season on TLC. One photo showed Larissa and Debbie posing together, while another picture captured a sweet kiss between Colt and his fiancee. The photos served as further evidence Larissa and Colton are still an item. Larissa, however, deleted the images shortly before 90 Day Fiance's sixth season premiered on TLC. Similarly, the bio of Debbie's Instagram account used to read, "I live in Las Vegas with my son & his wife who help me financially since the passing of my husband of 26 years. I like to be on my computer and cook," according to reports. But Debbie recently edited her bio to not include a mention of Larissa's name or a daughter-in-law of any kind. Based on the copy of Colt and Larissa's marriage-license filing obtained by Starcasm, Larissa was married once before. She got a divorce in August 2011. She was 25 years old at the time. It may come as a surprise to fans Colt and Larissa are still making it work as a couple and appear happy. When Larissa first moved to Las Vegas, she complained the state was nothing like the pictures and she "hated" the place. After calling Vegas a "nightmare," Larissa moved into Colt's home and told Debbie it was too small and poorly decorated. At this point in the 90 Day Fiance season, Larissa and Debbie have a long way to go before building any time of bond, and Colt has his work cut out for him when it comes to pleasing his fiancee and making her happy.